Over the last few years’ mindfulness has created a new trend of helping people become present and aware of their inner and outer surroundings. This wonderful shift can be felt when you meet someone that has been affected by mindfulness. They are present and really are listening to your words, to your energy. This intern can create a small shift in the energy around the mindful person shifting and moving energy in this mindful way. Now 2017 we are about to move into a new trend of compassion. Compassion is showing empathy and feeling a desire to help. The first step is feeling compassion towards yourself. Listen to your inner dialogue, what do you say to yourself? Are these words positive? Start to cultivate compassion in everything you do and say. Feel it then live it. When we use our intention as a mantra we use these words to repeat to ourselves. We listen to the echo of these words over and over to keep our vibrations high. The sound of each syllable create an inner vibration that moves our energy. These are the vibrations of our intention. In with the new! Inner Revolution will be welcoming all the clients from Carp Yoga & Tea into our loving tribe. 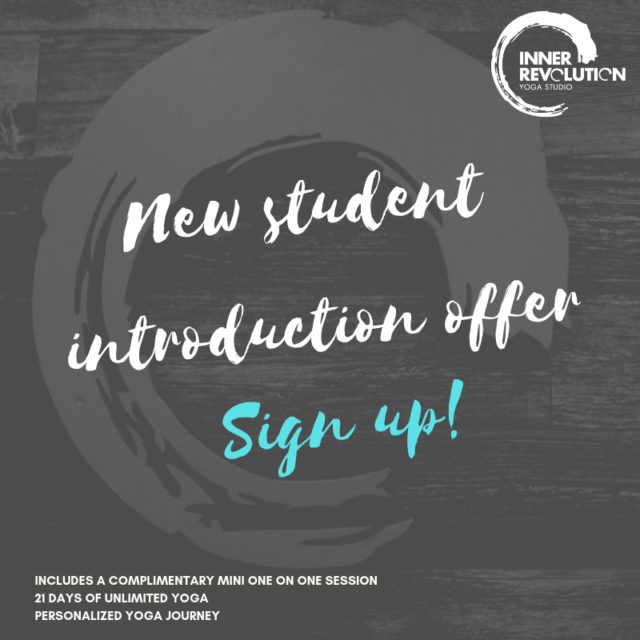 New beginnings at Inner Revolution as we merge yoga communities and create inner revolutions all around. Helping create these inner revolutions are great experienced teachers Nina Navjit Kaur Sidhu and Louise Murray. May we extend our hearts and open space to guide more yogis on their journey of connection. Watch us welcome them into our tribe!